One of my AutumnGold instructors recently completed a set of in-home lessons with a couple and their young Vizsla. The dog, Sadie, had completed our puppy class last summer and her owners were interested in working on in-home manners. One of the behaviors that Amanda, the instructor, included was target training “go to your mat and down/stay”. We use several approaches to teach this at AutumnGold, one of which employs a remote treat-delivery device such as a Manners Minder or Pet Tudor (see “Manners Minder and Me” for details). The owners were interested a remote trainer, so Amanda borrowed our device so that they could try it for a few weeks. Sadie responded beautifully and rapidly, but unfortunately, just as rapidly developed another behavior – resource guarding. She learned to stay on her bed and enjoyed the random delivery of treats, but when her owners approached, Sadie began to freeze over the Manners Minder, growling if they came too close. Prior to the start of the lessons, Sadie’s owners had not identified resource guarding as a problem. However, during their first meeting, Amanda noticed that Sadie stiffened slightly after she gave her a stuffed Kong. This was quickly diffused by teaching Sadie to “make a trade” and Amanda saw no other signs during that lesson. When questioned further, the owners did say that they sometimes saw similar body postures when Sadie was approached while eating. Amanda talked with them about the body language signs of resource guarding and cautioned them to watch for similar signs (or an escalation) after introducing the Manners Minder to Sadie. And sure enough…..there it was. Amanda is a skilled trainer and quickly intervened with a behavior modification program to prevent and treat Sadie’s resource guarding. However, what Amanda and I found interesting about this episode was that the owners had not previously mentioned a specific problem with resource guarding to Amanda. Granted this is a young dog, the initial guarding behavior was subtle and there was no bite history. Still, we wondered, was this because the owners had not been consciously aware of Sadie’s stiffening body posture previously or that they had noticed it but were not sure that it implied a problem? Identifying resource guarding: Most dog owners think of resource guarding as overt aggression (and certainly that is how it manifests at its most severe). Additionally, rather than being viewed as a general pattern of behavior, owners typically report the specific items that are guarded; i.e. “she is not good around her food bowl” or “he does not like being approached when he is chewing on his favorite bone“. However, there can be several more nuanced signs that suggest a dog may be highly invested in toys, a food bowl or a resting spot. These include becoming “still” (stiffening/freezing), abruptly changing body position to block access, hiding or running away, or rapidly ingesting food (or a stolen item) when approached. It is these more subtle signs that may be unnoticed or misconstrued, and that in some cases might be precursors of later aggression. Do we notice other signs? The question of how much attention dog owners generally pay to the other faces of resource guarding was recently examined by a team of researchers at the University of Guelph in Canada. The Study: They asked a group of almost 1500 dog owners to view short video clips that portrayed dogs who were approached near their food bowl or when chewing on a rawhide chew toy. For each clip, participants were asked to classify the behavior that they viewed into one of these five categories: Aggression (snaps, bites or attempts to bite); Threat (freezing, stiff or tense body posture, hard stare or growl); Avoidance (moves head away and actively avoids removal of item, runs away with item); Rapid Ingestion (increases speed of ingestion, gulps at food rapidly); or No Resource Guarding (relaxed, loose, wiggly body posture). Each of the behavior categories had been previously validated by a team of behavior experts. Perhaps not surprisingly, the participants, all dog owners, were highly capable of correctly identifying overt aggressive behavior associated with resource guarding. They were similarly adept at knowing when a dog was relaxed and friendly and showed no signs of guarding behavior. Conversely, owners were less likely to correctly identify the more subtle signs of resource guarding such as avoidance, rapid ingestion and even threatening behaviors (freezing and staring). When the three types of non-aggressive behaviors were compared, owners were better able to recognize threatening behavior than they were to recognize avoidance or rapid ingestion. 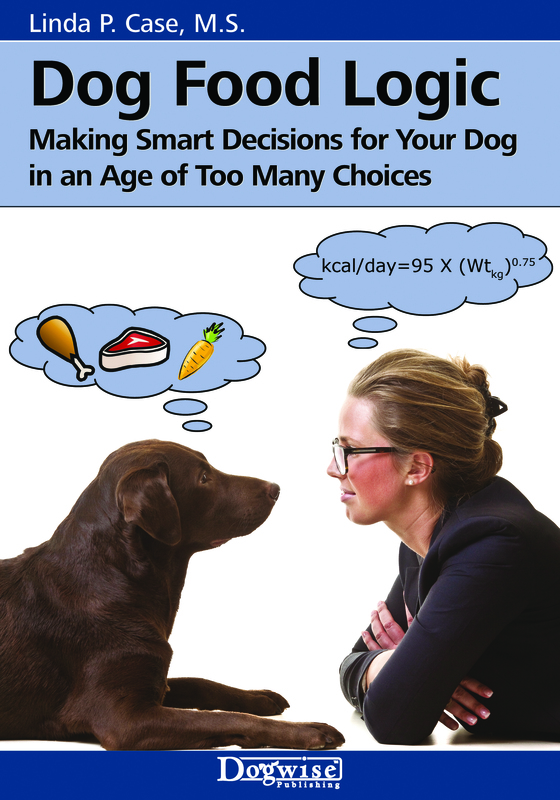 The authors speculated that owners are more sensitive to behaviors that they think of as being potentially threatening than those that appear to be benign, such as running away or eating rapidly. At AutumnGold, our potential clients complete a four-page behavior profile form for their dog prior to being admitted into class. The form includes questions about their dog’s behavior during mealtime, around their food bowl, with toys and when resting. It is not unusual to receive profiles that report dogs who run away or avoid interactions with high-value toys, or who becoming still/stiff when approached while eating or resting in a favorite spot. We always respond to these applications with a phone consultation. In some cases the avoidance behavior is simply a (learned) game of “catch me if you can” or the avoidance that the owner reports is just an untrained dog who has not been taught to come when called. However, is some cases, we identify these behaviors as a form of resource guarding and are able to intervene and provide early guidance. The results of this research suggest that many owners perceive the more subtle forms of resource guarding as being harmless or inconsequential, or they do not notice them at all. For professional trainers, this information encourages us to better understand the perspectives of clients and to proactively teach owners to identify and understand some of the more subtle body language signs in their dogs before they develop into aggressive responses. As for Sadie, she learned to go to her mat reliably using clicker training and polished up her “sit for greeting” behavior to control her very exuberant personality with visitors. Amanda also provided Sadie’s people with a set of canine body posture handouts and discussed the implications of stillness, freezing and avoidance behaviors in dogs. 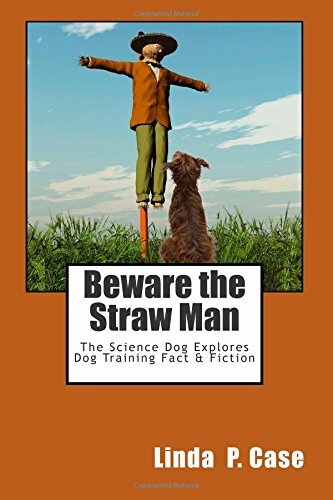 Sadie’s owners were highly interested in this information and rapidly became talented “dog behavior sleuths” with their girl, recognizing situations in which Sadie felt compelled to guard and managing her life to avoid or prevent those settings. Her owners also regularly practice “make a trade” and “give” with Sadie for all types of items (not just those that are high-value) so that she learns to happily give up toys and other items without becoming stressed or defensive. All-in-all a happy outcome, with everyone benefiting from this type of research and its application to evidence-based training! Cited Study: Jacobs JA, Pearl DL, Coe JB, Widowski TM, Niel L. Ability of owners to identify resource guarding behavior in the domestic dog. Applied Animal Behaviour Science 2017; In Press. Very good points, especially on how owners may perceive some guarding as harmless. It also points out one of the differences between dog training, and rehab conditioning. With the latter, the focus and priorities are social behavior with people, dogs, and places. Until otherwise demonstrated, it’s assumed there will be some resource guarding, and a variety of possible guarding scenarios are specifically tested, with no assumptions. While the dog’s body language is often a clue, that will vary between dogs, so the actual behavior is tested. Before they leave, they will let another dog take food in front of them, and avoid any issue if food is dropped between two dogs, or if another dog or person approaches when they have a favorite toy or food. To aid in this, my dog was specifically trained to work with resource guarders. However, I’d question your remark about diffusing the issue by teaching the dog to “make a trade”. I’d feel that’s more likely to increase guarding of the traded item, and fails to teach any useful social behavior, especially as it would be rather difficult to teach “trading” to a 2nd dog who approaches them. Guarding between dogs vs between a dog and a person do not always go hand in hand. Teaching “trade” turns the approach of a person into something positive, like a game or opportunity for the dog to get a reward. Eventually, even if they don’t get one, the positive association that’s developed turns the situation into one without the kind of defensive tension that can lead to aggression. Yes, of course guarding can differ between people and other dogs, which was why I stated both were used. As for a trade turning something “positive”, there you’re speaking of emotion which may or may not associate with behavior. Yes, when teaching a dog anything for treats, then slowly fading out the treats most times, there will be an association and “hope” for future treats that tends to maintain the behavior. That’s a fundamental component of all reward training. But there is never any guarantee that the association will produce consistent behavior, especially when indirect as in this case, and when the dog may decide he’d rather not trade, or always require a trade. Where he could just as well learn to grab and guard something, in order to get something better from you. Also, if you look at Overall and others on this topic, they explain that resource guarding is quite natural, and the dog needs to learn the social skills associated with sharing. Those social skills then become self-reinforcing and change both emotions and behavior. And if we watch young dogs being taught by older ones, make-a-trade is not really their approach.